Diagnosis of primary progressive multiple sclerosis (PPMS) has special challenges, as people with PPMS have a slow gradual loss of function over months to years. This is in contrast to relapsing-remitting MS, in which a person may recover neurological function after a relapse. The differences between these two types of MS has somewhat to do with the unique biology behind them. Research suggests relapsing-remitting MS is an inflammatory process (the immune system attacking nerve fibers) whereas primary progressive MS is a more degenerative process, where nerve fibers slowly deteriorate. Why one person develops PPMS as opposed to relapsing-remitting MS is unclear, but experts believe genes may play a role, although the scientific evidence to back this up is still scant. A person has at least one year of documented clinical progression (meaning a worsening of his or her MS symptoms). However, other people have what is called “cerebellar syndrome,” which is characterized by severe ataxia and problems with balance. Regardless of which types of symptoms they are, it must be shown that the progression has been steady for over a year, with no relapses, to diagnose PPMS. That said, using MRI scans to diagnose PPMS has its challenges. One major challenge is that the results of the MRI scan of the brains of people with PPMS may be more "subtle" than that of people with RRMS, with far fewer gadolinium-enhancing (active) lesions. However, the spinal cord MRI of people with PPMS will classically show atrophy. Since the spinal cord is greatly affected in PPMS, people tend to have problems with walking, as well as bladder and bowel dysfunction. 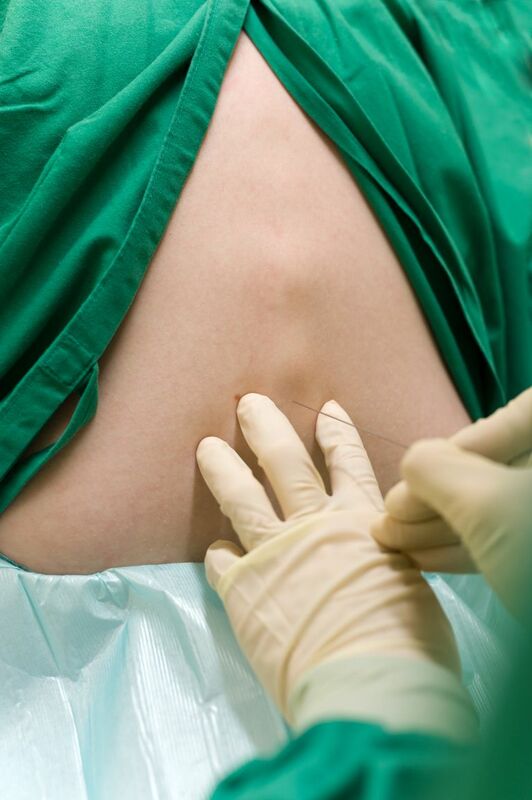 Also referred to as a spinal tap, lumbar punctures can be very helpful in making the diagnosis of PPMS and ruling out other conditions. Presence of Oligoclonal Bands: This means that "bands" of certain proteins (immunoglobulins) show up when the spinal fluid is analyzed. Evidence for oligoclonal bands in the CSF can be seen in over 90 percent of people with MS but can be found in other disorders, too. Intrathecal IgG Antibody Production: This means that IgG is produced within the spinal fluid compartment—this is a sign that there is an immune system response. Visual evoked potential is a test that involves wearing EEG (electroencephalogram) sensors on the scalp while watching a black-and-white checkered pattern on a screen. The EEG measures slowed responses to visual events, which indicates neurological dysfunction. VEPs have also been helpful in solidifying a diagnosis of PPMS, especially when other criteria are not met definitively. It's important to note that some people who start with a diagnosis of PPMS may experience relapses after diagnosis. Once that starts happening, the diagnosis of that person is changed to progressive-relapsing MS (PRMS). However, everyone with PRMS starts out with the diagnosis of PPMS. Progressive-relapsing MS is the rarest form of MS, with only 5 percent of individuals with MS affected. In the end, many neurological diseases mimic MS, so much of the burden of diagnosing any type of MS is eliminating the possibility that it could be something else. Other disorders that need to be ruled out include: Vitamin B12 deficiency, Lyme disease, spinal cord compression, neurosyphilis or motor neuron disease, just to name a few. This is why it's important to see a doctor for a proper diagnosis if you are experiencing neurological symptoms. While the diagnosis process may be tedious, remain patient and proactive in your health care. Coyle, Patricia K. and Haper, June. Living with Progressive Multiple Sclerosis: Overcoming the Challenges (2nd ed.). New York: Demos Publishing. 2008. Cree BA. Genetics of primary progressive multiple sclerosis. Handb Clin Neurol. 2014;122:211-30. National MS Society. Diagnosing PPMS.